Release with Ease the biggest stumbling blocks and abundance stoppers with Heart Point Technique. In this easy to follow eBook, you will find helpful tips and tools of Alchemy that you may implement into your life with ease that will to support your journey right now. 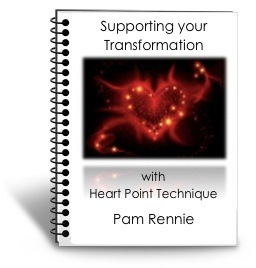 With a simple template to guide you, you may use the Heart Point Technique exercise in this eBook to assist you in clearing the #1 block to spiritual growth. Heart Point Technique is a divinely-inspired spiritual/energy modality. Designed specifically to be nurturing, yet powerful, it is effective in addressing physical, emotional and spiritual issues, healing them at their core.